There’s a reason why theatrical productions often begin off-Broadway. On Broadway, the lights shine with greater intensity and bring greater scrutiny, with critics who are often less forgiving. For the past few years, social and mobile media efforts have remained, in a sense, “off-Broadway.” However, these platforms have segued to the big stage and are beginning to garner a larger share of marketers’ budgets. Now, they too are finding the scrutiny to be more intense along with higher expectations of generating marketing results. In March, ComScore found that 31% of online ads that were served were not in view — and of the campaigns analyzed, 72% had at least some impressions that were delivered adjacent to objectionable content. The 2012 Digital and Social Media Survey conducted by the Association of National Advertisers cited the measurement of ROI as the top social marketing challenge. Ted McConnell, executive VP of digital for the Advertising Research Foundation, published an Ad Age article that illustrated how a blank display ad notched twice the click-through rate of a branded one and better click-through than the average Facebook ad. Hipcricket conducted a study in which 43% of the respondents indicated that a lack of relevance is the top reason that smartphone owners have never engaged with mobile ads. Facebook’s Head of Measurement and Insight Brad Smallwood stated that ads running on Facebook can take up to a year to generate results. In August, 3MS, a cross-industry coalition called for a new viewability metric that would only count a digital ad as“viewable” when 50% of the ad is in view for at least one second. Fewer than half of online ads met that standard. AdSafe Media found that less than half of ads that passed through its system were actually viewable. Trademob concluded that 40% of mobile ad clicks worldwide were essentially “useless.” Twenty-two percent resulted from accidental clicks, 10% from botnets and client-side fraud, and 8% from to server-side fraud. In October, Edelman Berland, the global market research and strategic consulting arm of the world’s largest public relations firm, published a study called “Click Here: The State of Online Advertising.” It showed that only 3% of respondents identified social media as the medium in which U.S. Internet users prefer seeing ads. Social media drove less than 1% of total online sales and traffic on Black Friday, according to IBM Smarter Commerce metrics, which tracks sales for 500 of the top retail sites. Only two-thirds of 1% of Black Friday online sales came from Facebook referrals. Twitter’s contribution was gauged as zero. Millward Brown released their AdReaction 2012 Report detailing smart device owners’ attitudes toward advertising by medium. Radio tied for #1 with TV, with 51% of global smartphone and tablet owners reporting a very or somewhat favorable attitude toward radio and TV ads, more than doubling mobile ads (23%) and close to twice that of social media ads (32%). A Forbes Insights study called “The New Rules of Engagement: Measuring the Power of Social Currency” found that marketers view consumers’ proactivity via social media as dramatically more engaging then consumers do, and that marketers’ attempts at personalization and customization engage few consumers. Harris Interactive for MediaBrix found that a majority of respondents felt “native” digital ads negatively impacted or had no impact on their perception of the brand being advertised. The study also found that 45% of the promoted tweets were judged as misleading, while 57% and 86% said the same about Facebook-sponsored stories and video ads, respectively. In 2013, it will be wise to keep firmly in mind that the perfect medium has yet to be created. Despite all of the headlines about the latest digital platforms, a balanced approach of legacy and digital media will likely produce the best results. 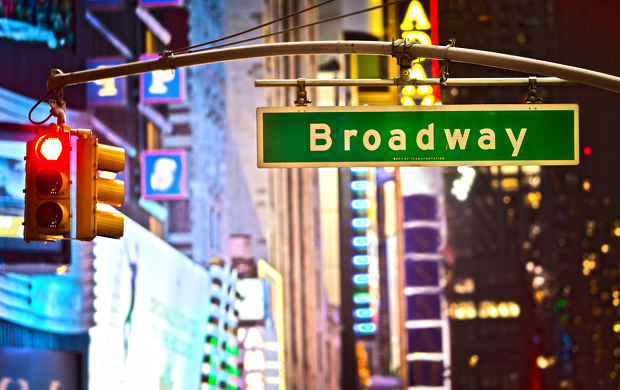 Broadway’s bright lights can be hot. Traditional media have survived this spotlight and scrutiny for decades. It’s now time for a few of the newer digital options to do the same.